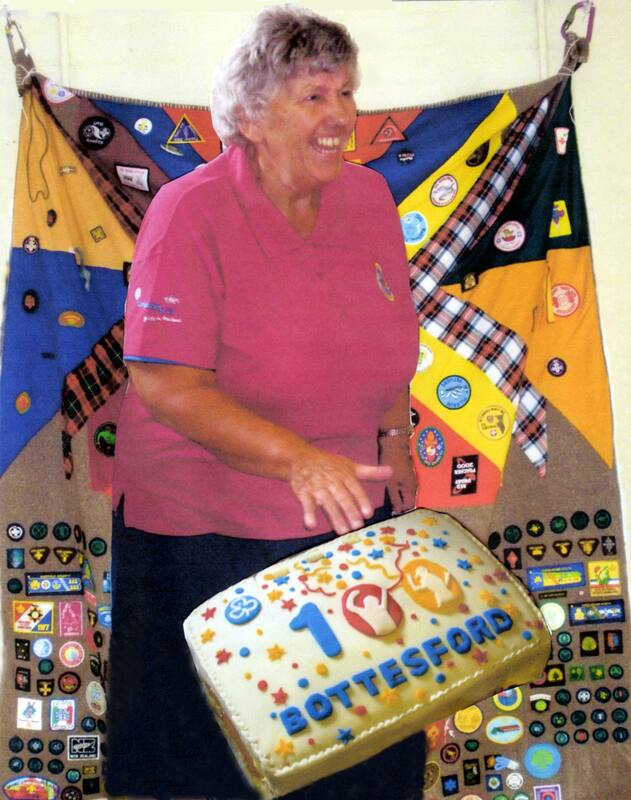 Bottesford Celebrates 100 Years of Guiding - How Did It All Begin? 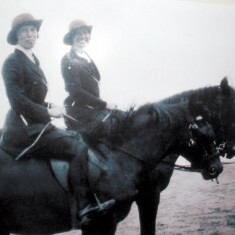 2nd Guide Captain, Mrs. Lane with daughter Ann. 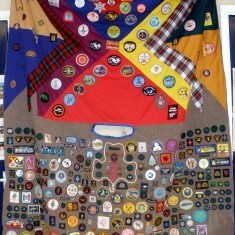 Jill Bagnall's collection of badges. 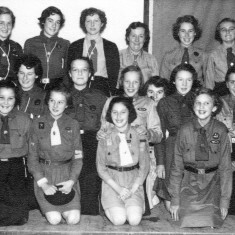 The Guiding Movement is celebrating its hundredth birthday this year, but no one is certain when guiding began in Bottesford. 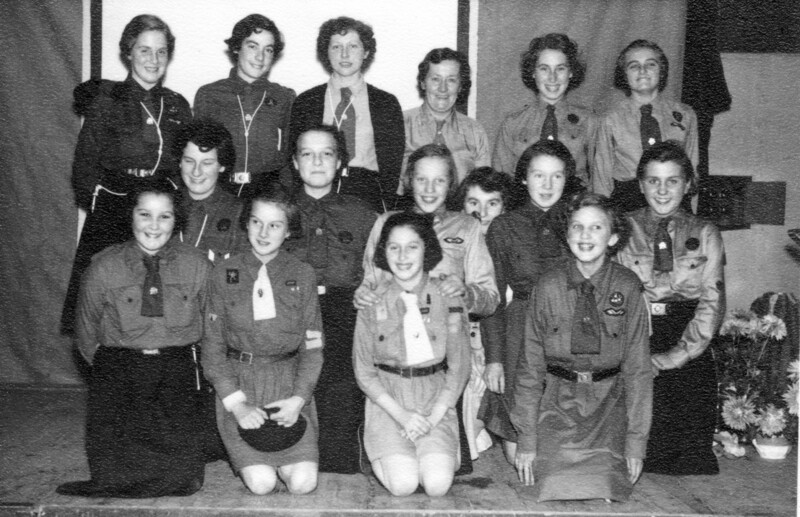 Jill Bagnall, who has been a Guide leader in the village for over thirty years, has been researching the history of the Bottesford Guides. 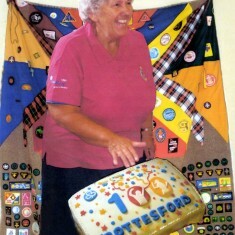 She has discovered that the Bottesford Guides have been in existence since at least the 1920s. 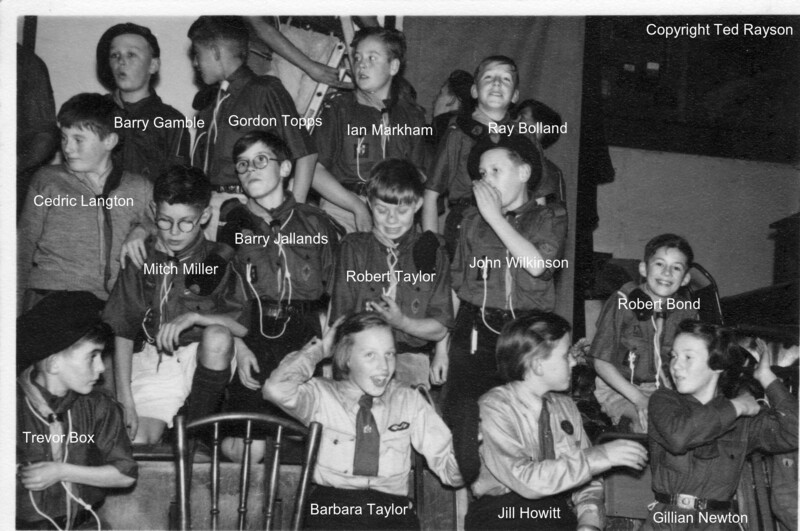 Jill says:”When I was was a guide in the early 1950s I was lead to believe that Guiding in Bottesford was started around 1945 by Marjotie Holt. 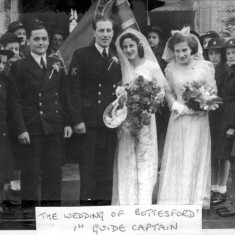 She was followed by my Guide Captain, Mrs. Lane, with lieutenants M. Buxton and I. Tritton. 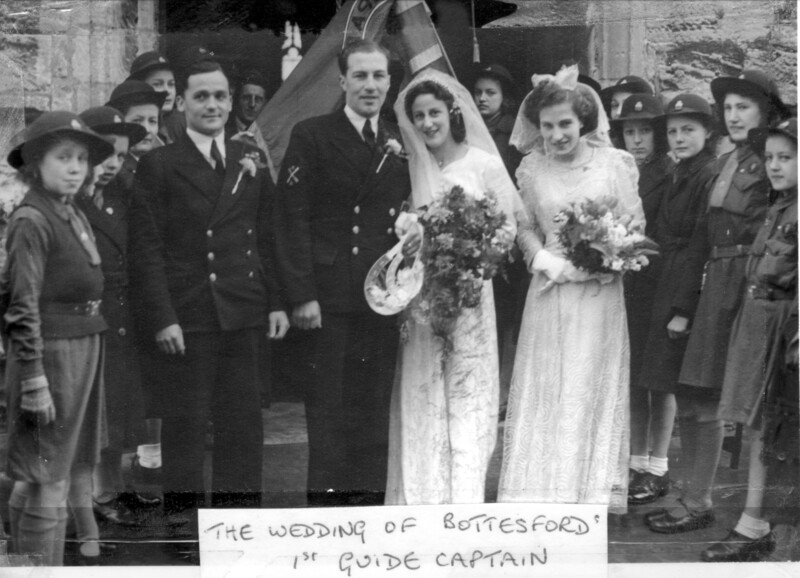 A couple of weeks ago a Bottesford resident, Wendy Cross (nee Topps), gave me two photographs. 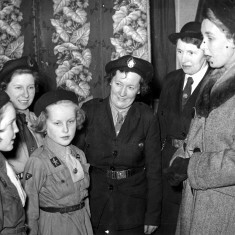 One shows her mum, Mary Topps (nee Johnstone), in guide uniform. 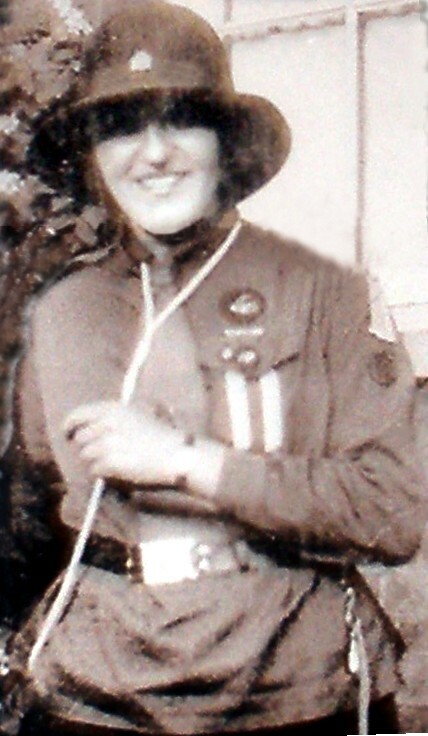 Born in 1910, Mary Johnstone came from Scotland in 1926 with her sister Margaret to work at Muston Rectory. 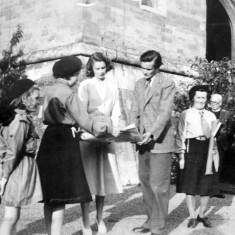 Mary later married Frank Topps of Muston. 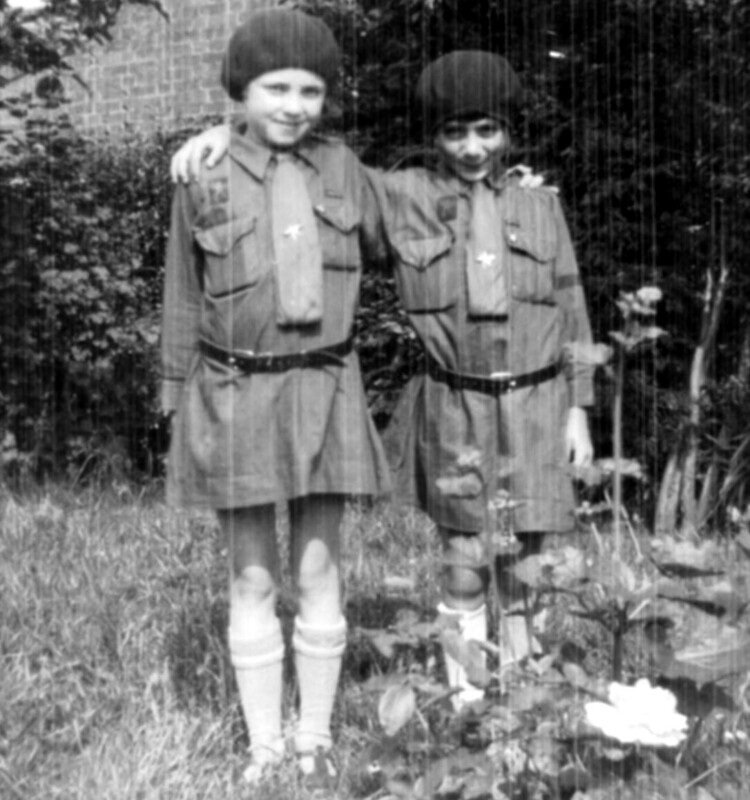 They had two daughters, Gina and Wendy. 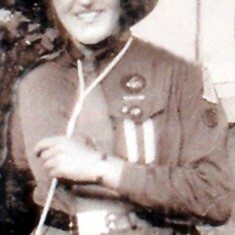 The photograph, taken in 1928/29, shows Mary in her uniform in the Rectory garden. 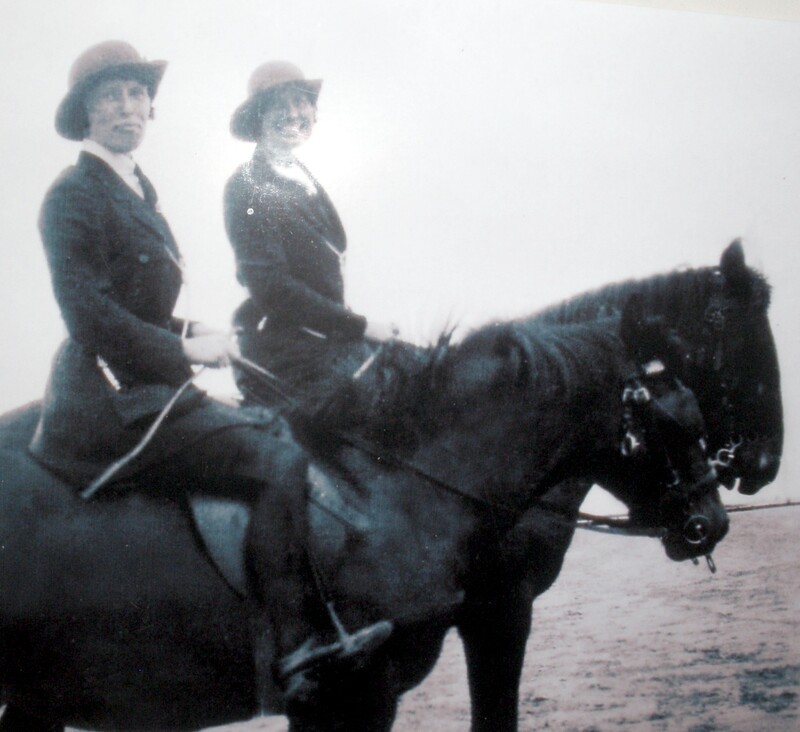 Wendy gave me another old photograph showing two Guide leaders on horseback, dating from the 1920s or 30s. 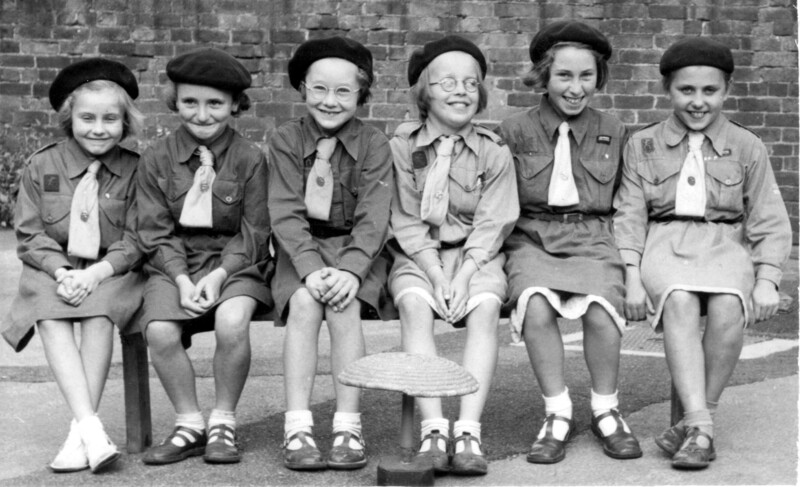 They are the Guide leader, Mrs. Royle, wife of a local doctor,who lived on High Street and Mrs. Gosden, the Brownie leader, who lived at ‘Three Ways’ on the corner of Belvoir Road. 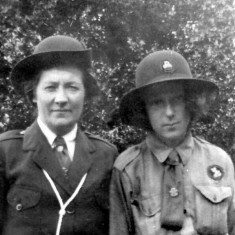 Mrs. Dorothy Beedham can also confirm that the Brownies were set up in Bottesford during the twenties, as shown in the photograph of Dorothy and her friend, Joyce Hart, taken around 1928. 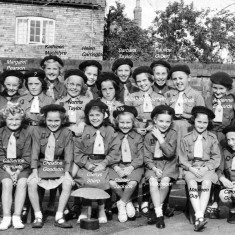 She was a Brownie and a Guide and, like Mary Topps, remembers Mrs. Royle, Mrs. Gosden and Lady Readett-Bayley and her daughters from Elton Hall. 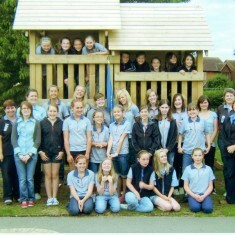 Nottinghamshire Guide H.Q. 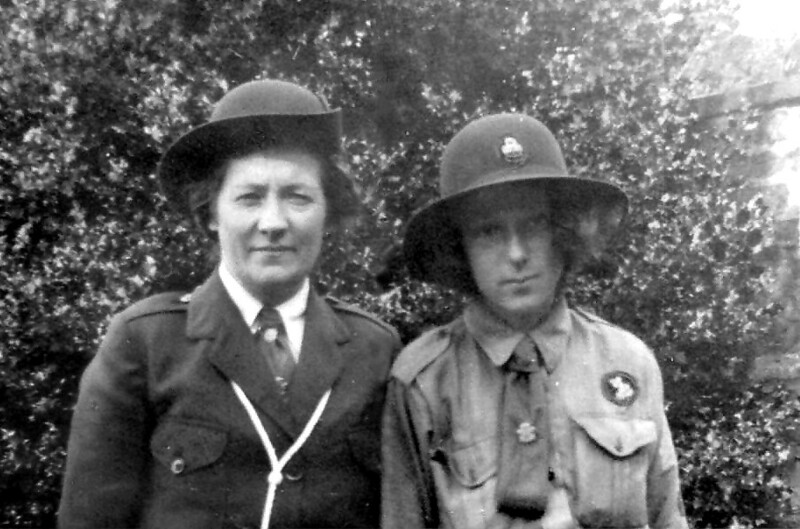 have confirmed that Lady Readett-Bayley was a County Commissioner.During the first world war she was one of the few women who served on the front line in Belgium. 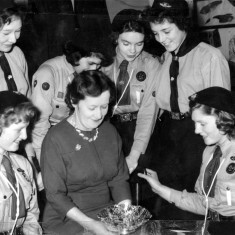 After the war she devoted much of her energy to the Guide movement, taking particular interest in disabled guides.She had three daughters who were also involved in the movement.The Readett-Bayleys lived at Elton Hall from 1921 to 1933 and during that time her daughter, Hester, was a Tawny Owl with the 1st. 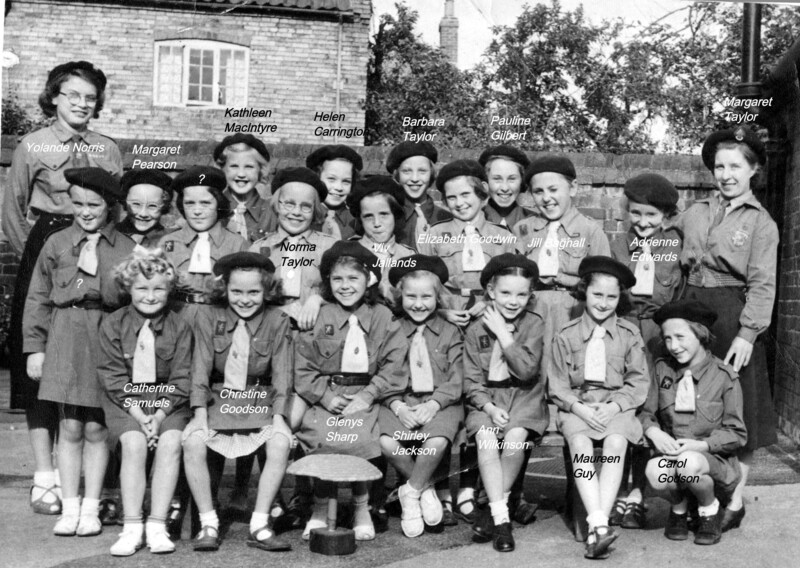 Bottesford Brownies from March 1932 – September 1934 and a Lieutenant with the 1st. 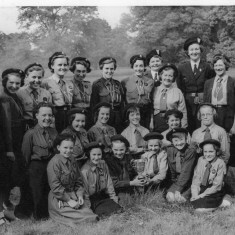 Bottesford Guides from June 1932 to 1935. 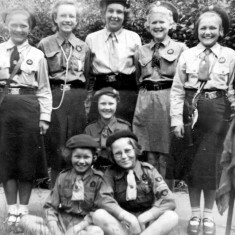 The Guides met in various places. 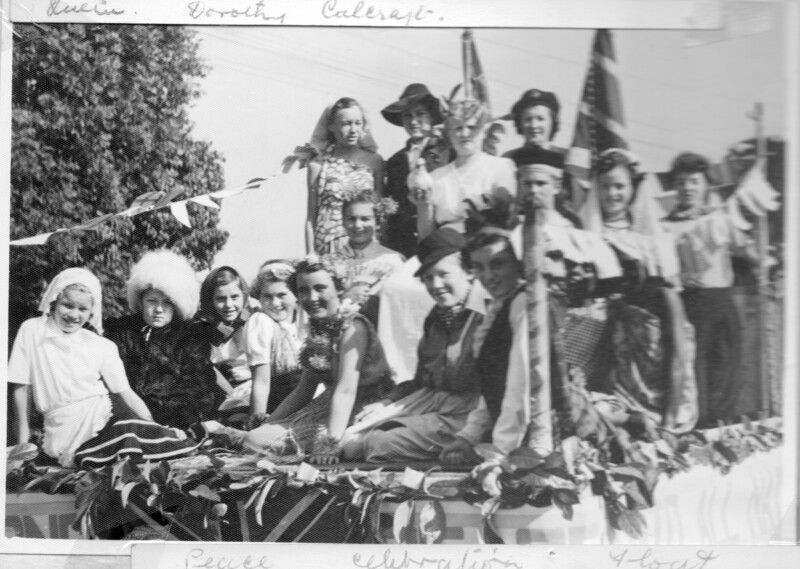 In the 1920s and 30s they met above the old Co-op in Queen Street, at Mrs. Gosden’s, in out-buildings and in the old school room, now the Youth Club.In the 1940s they met at Holt’s Garage, once a barn at the end of High Street, close to the Nottingham Road bridge and at the Rectory. 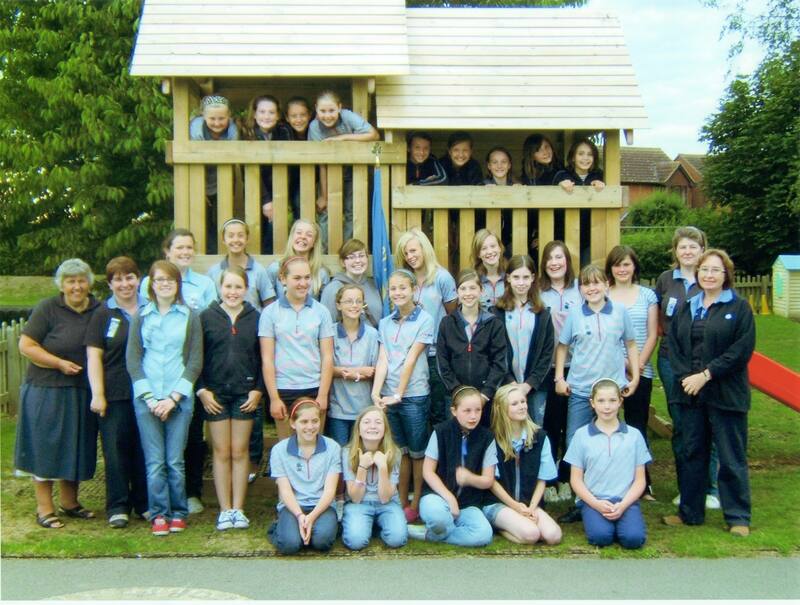 Today 100 girls and young women continue the tradition of Guiding in Bottesford, meeting with their volunteer leaders in the Bottesford Scout and Guide Centre in Albert Street, which was established in 1972 and has recently been modernised through local fund-raising and a National Lottery grant. 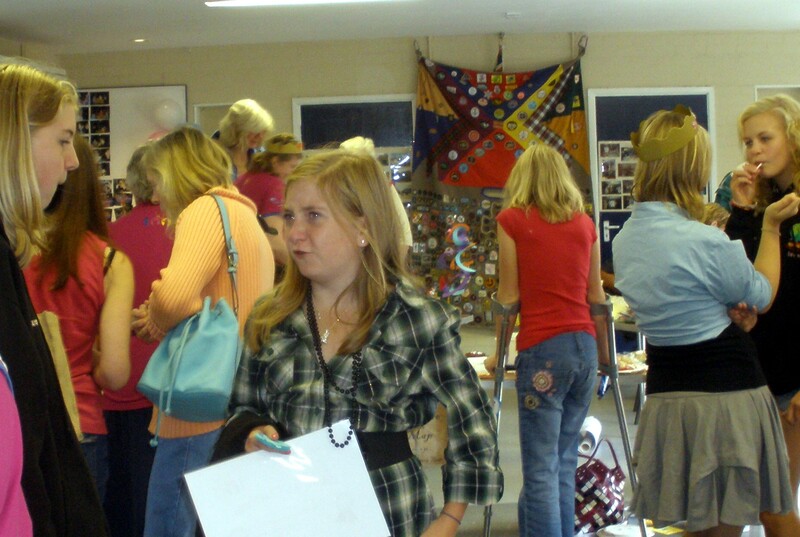 On September 5th today’s Guides and Brownies and Leaders and former members and leaders enjoyed a party and a magnificent exhibition of photographs, books and badges showing all aspects of Guiding in Bottesford in the last eighty years. 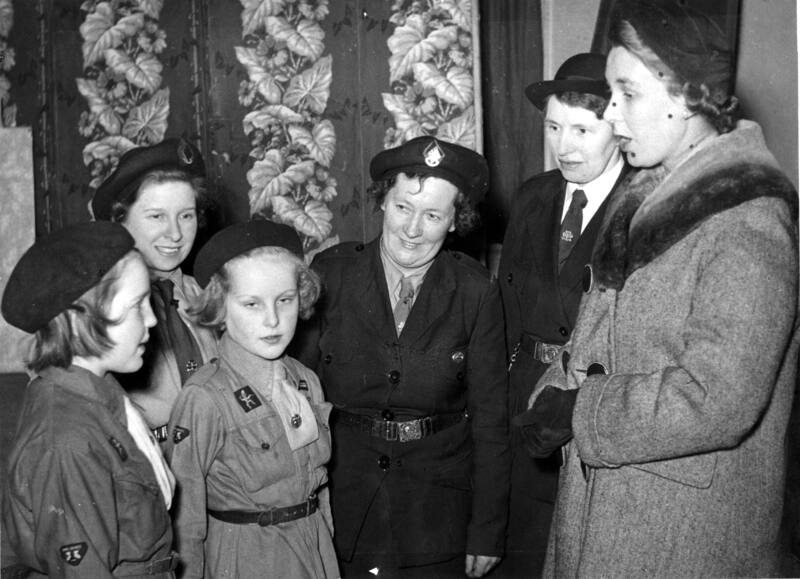 Since Bottesford is right on the boundary of three counties its first guides were part of the Nottinghamshire Guides, but later joined Leicestershire and now form part of the Lincolnshire South Girlguiding (Grantham Rural District). 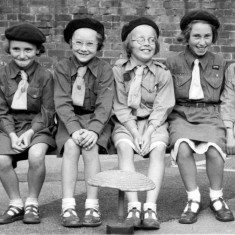 This makes research complicated, but Jill hopes to uncover more information and photographs about the early history of guiding in Bottesford. 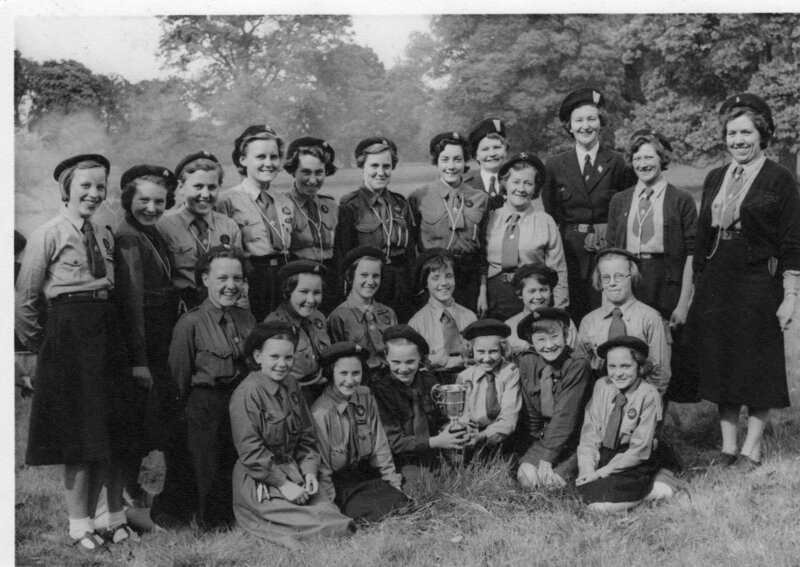 If you have any information about the history of guiding in Bottesford, or memories or old photographs you would like to share, please get in touch. 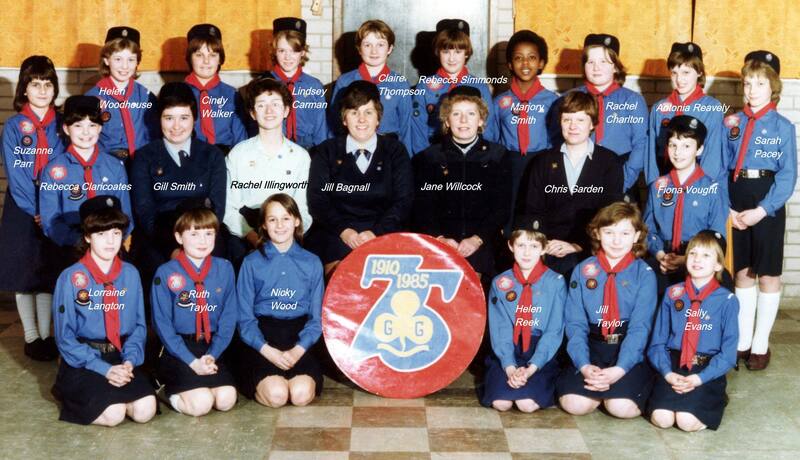 With thanks to Sue Davies, Archivist, Girlguiding Nottinghamshire. 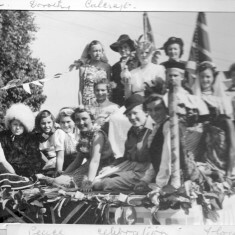 All photographs are from Jill Bagnall’s collection unless otherwise stated. 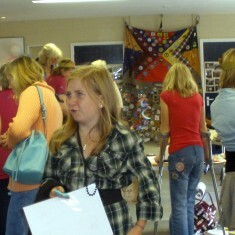 This page was added on 18/08/2009. 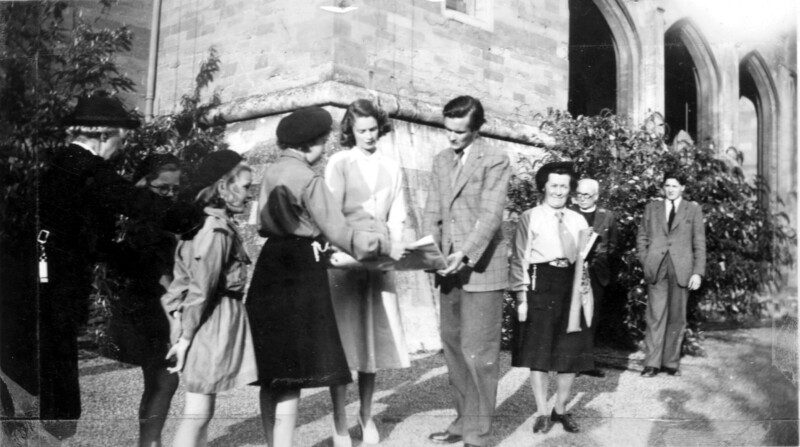 Congratulations, Jill, on a wonderful collection of memories for I’m sure a lot of people. 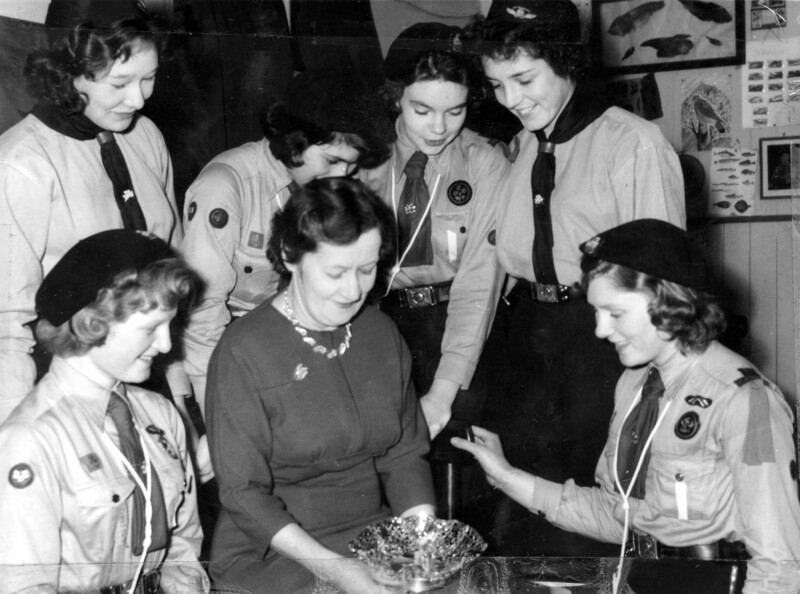 Also for your continuing dedication to the movement as was your predecessor Mrs Lane and all the other dedicated helpers over the years. 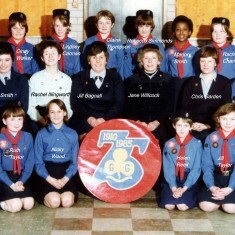 Liz and my sister Angela are in several of the pictures, some we have never seen before. 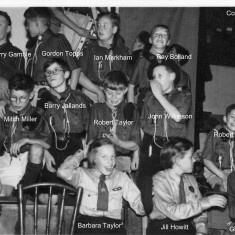 For me, like a lot of other village boys, the Guides were a meeting and dating agency, in fact a happy hunting ground!! 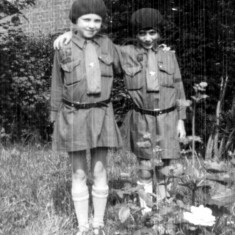 Liz and I met through Scouts and Guides as did a lot of others and nearly 50 years on we are still together, possibly another merit badge to sew onto the uniform? 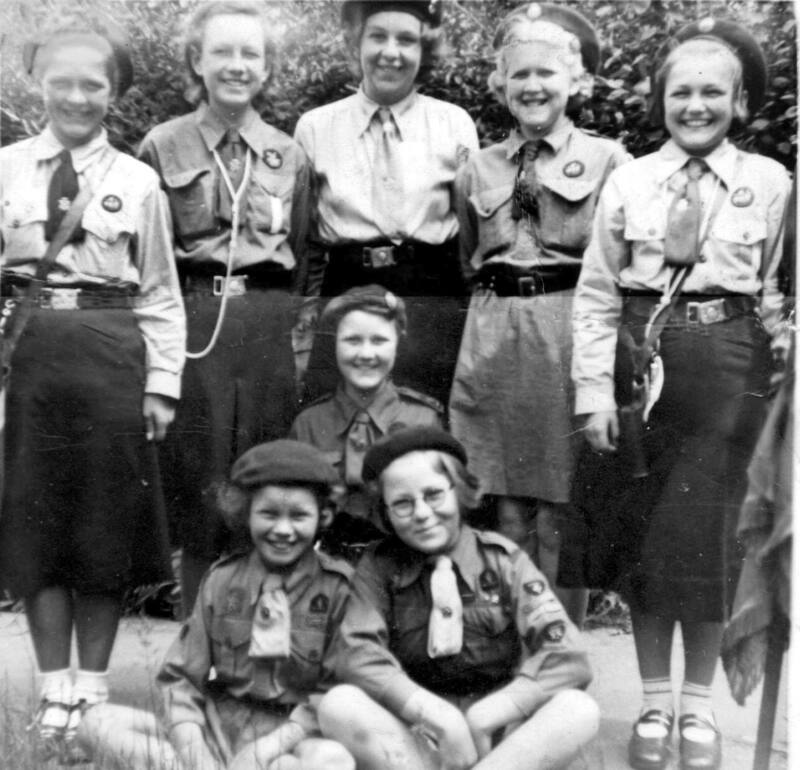 I’m sure with your collection of pictures Jill is it possible to add some more to the Scouting page as our era is not very well covered. 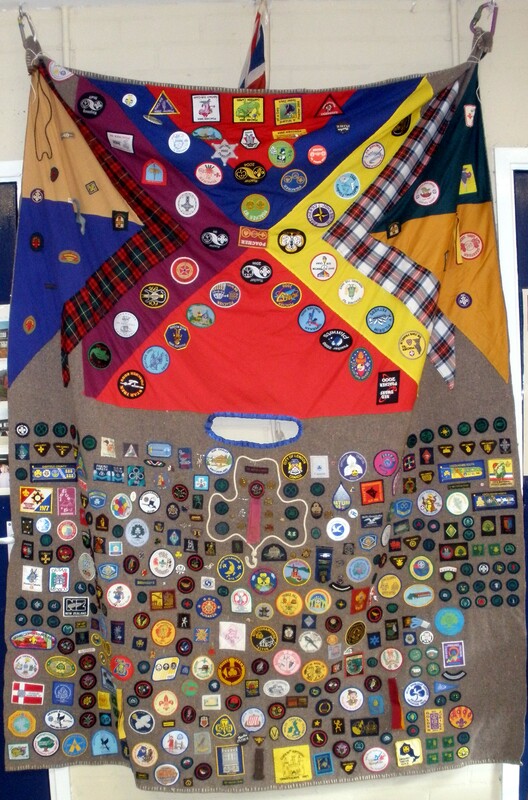 Thanks again Jill and all the best for your open day on September 5th, please give our regards to all our ex fellow Guides & Scouts.